Posted April 10, 2019 by chris & filed under Relationships. You have no idea what to do. 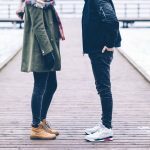 Your usually happy, optimistic, outgoing, and positive spouse has suddenly started behaving in ways you don’t recognize. They’ve become aggressive, isolated, angry, sad, and no matter what you try, it doesn’t seem to work. It’s hard for you to watch someone you love go through such a trying time in their life. You’d do anything to take the pain and frustrations away, but you’re not sure what that is. Perhaps they recently got fired, lost a loved one, have gone through some financial troubles, or got news of a medical condition. Or maybe, they’ve started changing emotionally and physically without any real explanation for what’s going on. 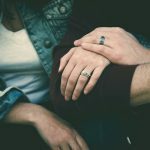 Though all you really want to do is see them smile again and get back to normal, helping your spouse through this difficult time requires patience, love, and some of the following tips listed below. Above all else, your spouse needs to know that you’re there for them when they want to talk. Instead of trying to address the issue yourself, start arguments, point fingers, or make matters worse, just be there when they want to speak. Listen to what they have to say and if they’re receptive, then ask how you can help. When someone is going through a difficult time in their lives, it’s not uncommon for them to put the basics, like eating, on the back burner. Not eating, however, weakens their minds and bodies making it harder for them to get through the trials and tribulations. Do your spouse the favor of making sure they eat. Make sure there are enough healthy and nutritious foods and beverages in the house for them to consume. Everyone goes through difficult times and copes with them differently. While you may expect different behaviors or moods from your partner after an unforeseen circumstance, if it continues for too long you need to encourage them to get help. Mental health statistics state that fewer than half of individuals suffering from mental illness actually receive help. So, if you recognize signs like extreme sadness, isolation, despair, depression, anxiety, stress, or any other behaviors it’s time to talk to your spouse and offer resources for them to turn things around. Right now your partner needs you to be a positive source for them to rely on. They may be distant or not in a talkative mood, but you can still find ways to let them know you care. Small acts of kindness from making them breakfast in bed to handling their weekend chores lets them know you really care for them. Whether your spouse is willing to get help for their problems or not, if you’re feeling emotionally overwhelmed in the marriage it is ideal to seek therapy for yourself. Talking with a therapist about your experiences can provide you with tools to remain emotionally healthy as you support your spouse through their difficult times. No one wants to see someone they love going through a rough time in their lives, but in most cases, these things can’t be changed. In order to help them get through it, you need to find a balance between showing support and providing them with the space they need to heal. 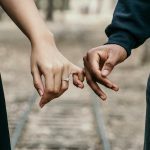 Hopefully, the above-mentioned tips will help you and your spouse get through this and continue enjoying your strong, loving, and lasting marriage.